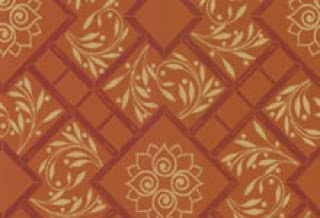 The Guy's favourite (if he were forced to choose): Gilded Fresco in Red/Gold from Mulberry. The two papers together in situ - maybe my choice is too geometric? 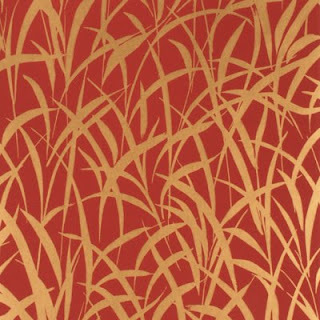 After seeing them all in daylight and by CFL lighting I'm being seduced by this Red/Gold/Rust beauty: Palm Court, Cole & Son, from their Vintage Glamour Collection. as does this sample of Grasses that I started with. I'm no nearer make a decision, so Interwebs, please weigh in with you thoughts! 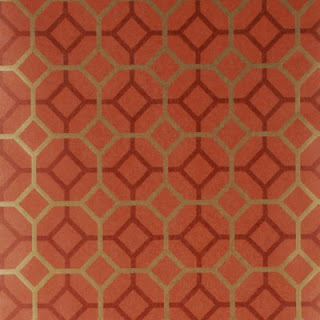 All wallcoverings available from Lee Jofa (trade only). I like the grasses... it's gorgeous! But is it too much grass for the room? If so, then I'll side with The Guy Ala Guilded Fresco. Why are you all siding with The Guy? It'll go to his head! Just for the record, I did NOT vote for the upholstered bed. Put me down for the gilded fresco. I recall that I abstained from the bed vote. I'm not siding with The Guy. That one is my least favorite. It's a too little faux finish-y for me. I think I'd choose the Grasses. I liked it in both views. But maybe you give us too much power? Can you compromise and put the grasses on one wall?? I like octavio on it's own, but I can see how the grassy one might work well in that location... but I really dislike the gilded one, reminds me of a faux painting technique, something that is trying to be something else. honesty in materials. I think if The Guy wants a gilded fresco look he should talk Nadine into giving him a lesson - that gal can walltreat like a pro! Susan: I don't have a wall I could use for a feature paper - it's all doorways and stairs! 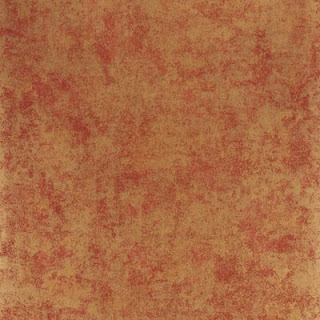 I am really in love with the grass cloth wallpaper however, the problem with that is it maybe too busy for the room because the color is very rich and metallic. It may be good if you were doing it on one or two walls.. but not all the walls. If you want to go for something more simple then go grand on accessories I would suggest going with Gilded Fresco in Red/Gold from Mulberry. You know, octavio is growing on me, esp since the house is geometric, not really arts and crafts.